All WhatsApp media in the same place. Delete a specified WhatsApp media file (image, video, stickers, audio, voice note, document...) or all media files by an easy click. Clean WhatsApp junk files by Category. Enable/Disable the Auto-Clean option to clean media files by a regular interval or by a storage limit. 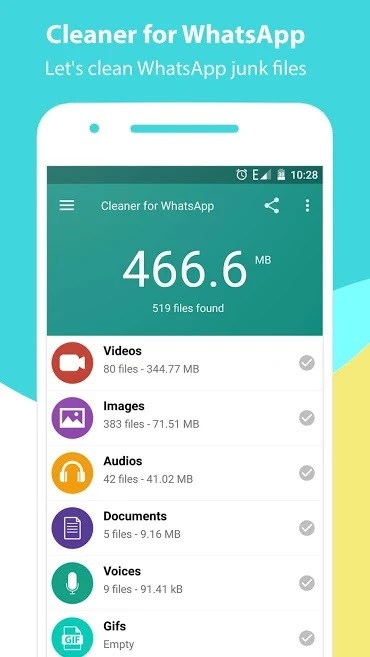 Preview all WhatsApp media files types before doing a clean. Sort WhatsApp media files by size or by date. Preview the sent and received media separately. High-quality design and a user-friendly interface.